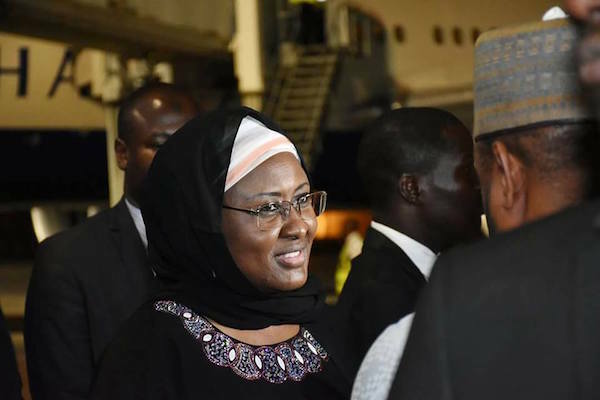 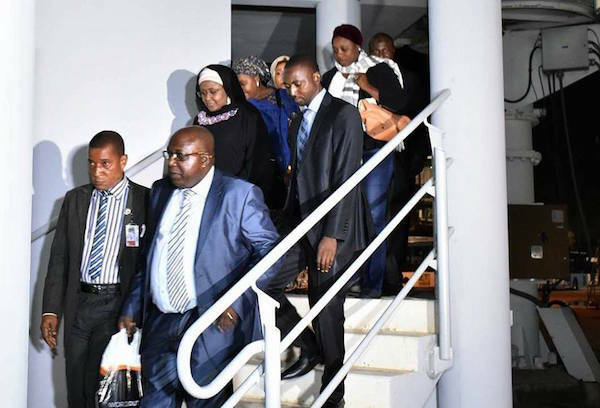 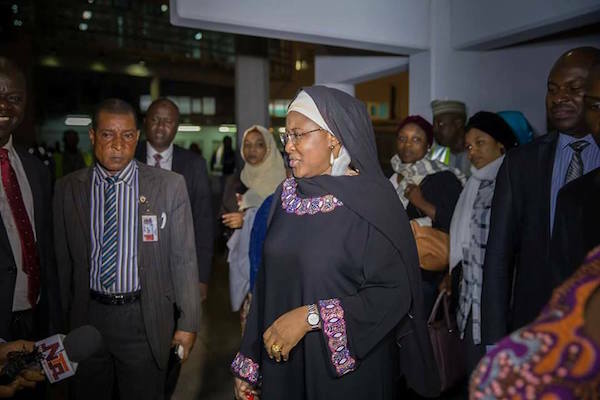 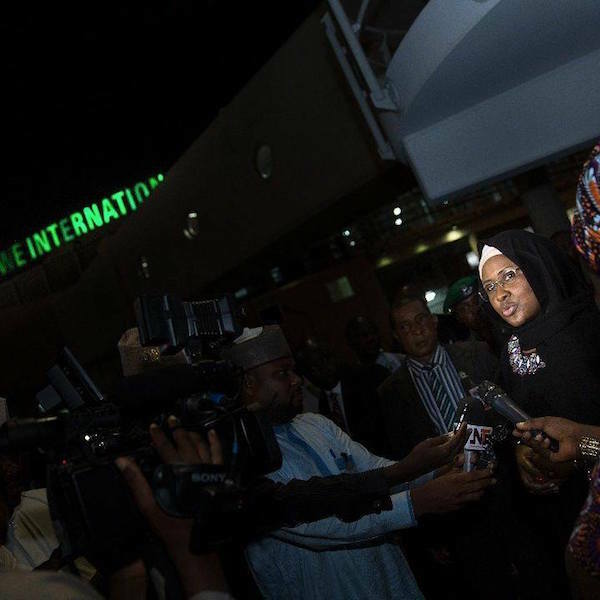 Aisha Buhari, the wife of Nigeria’s President Muhammadu Buhari returned from London Tuesday morning after visiting her ailing husband, who is receiving treatment for an undisclosed illness. 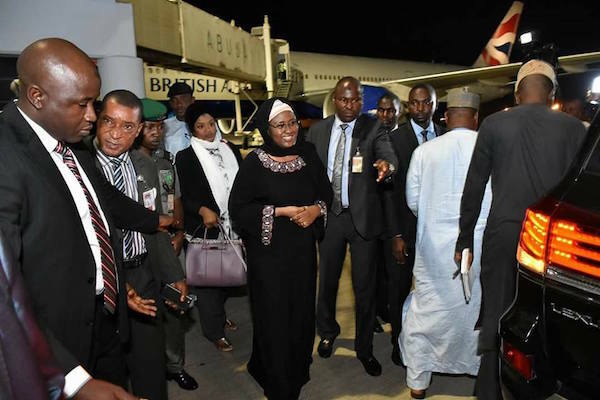 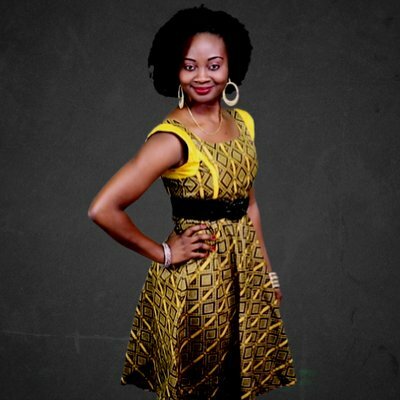 Mrs Buhari arrived around 4.30 am aboard a British Airways flight. 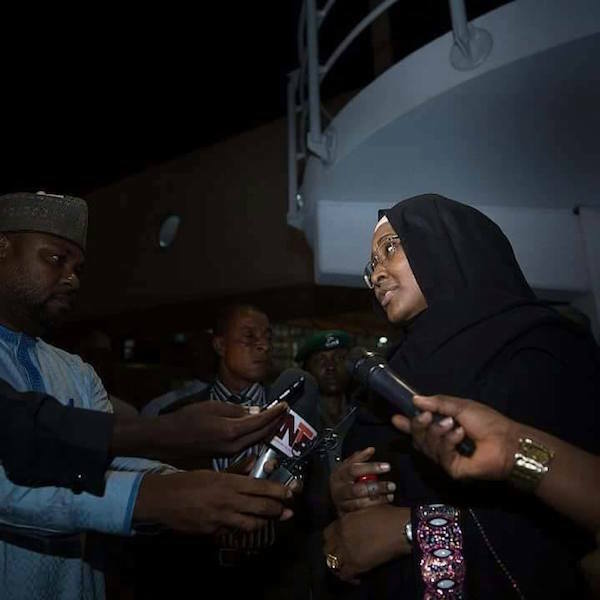 Mrs Buhari speaking further thanked the Vice President Professor Yemi Osinbajo for his loyalty to her husband and his commitment to pursuing the agenda of the All Progressive Congress (APC). 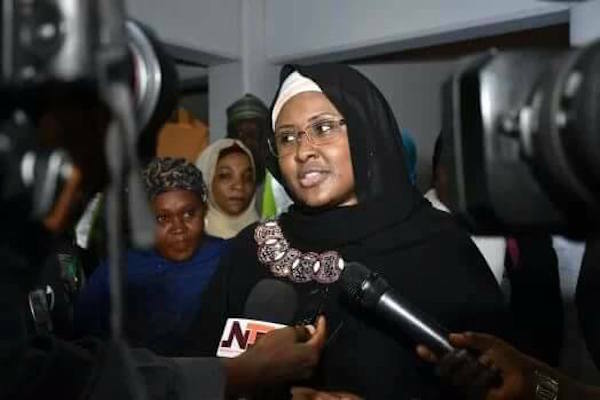 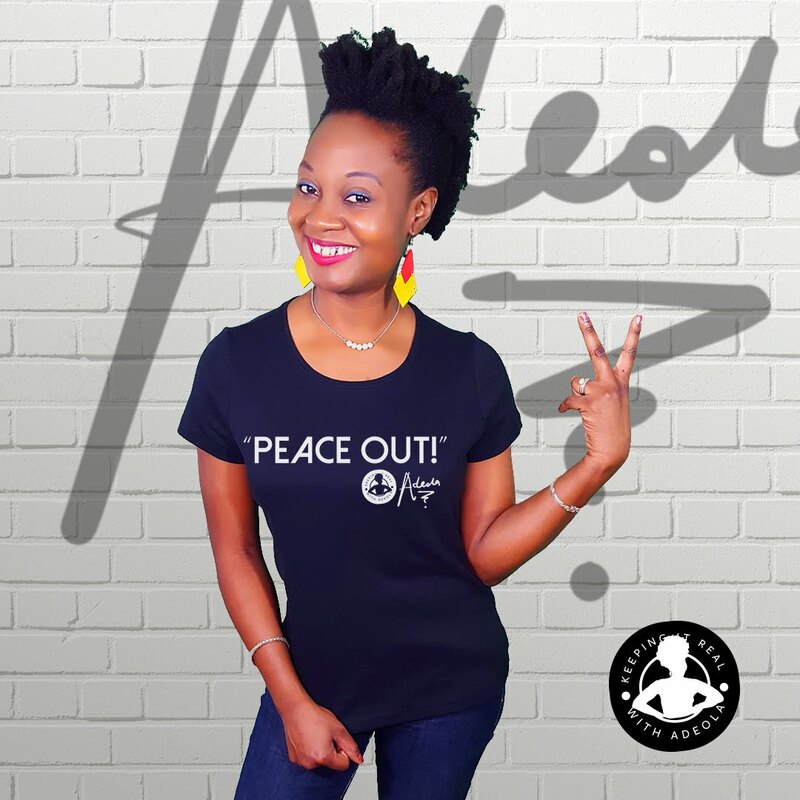 The President’s wife also conveyed the appreciation of her husband to Nigerians over their constant prayers and said he will soon be with them as he is recuperating fast. 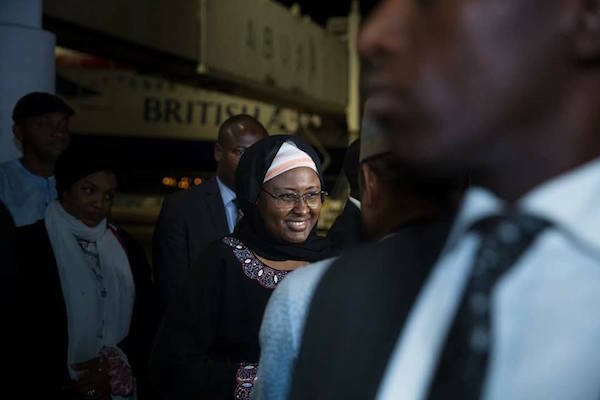 It would be recalled that the President’s wife left Nigeria one week ago to spend time with the president who is on medical vacation.